Every so often, we get a movie that breaks the mold and sets the bar for the industry - a game changer. "Don't Breathe" is one of those films. It was as stressful and tense as it was fun. And heck we couldn't get our eyes of the screen even if it was damn scary. The suspense, the twists and turns in its plot is an exhilarating experience that's indescribable as it is unforgettable. 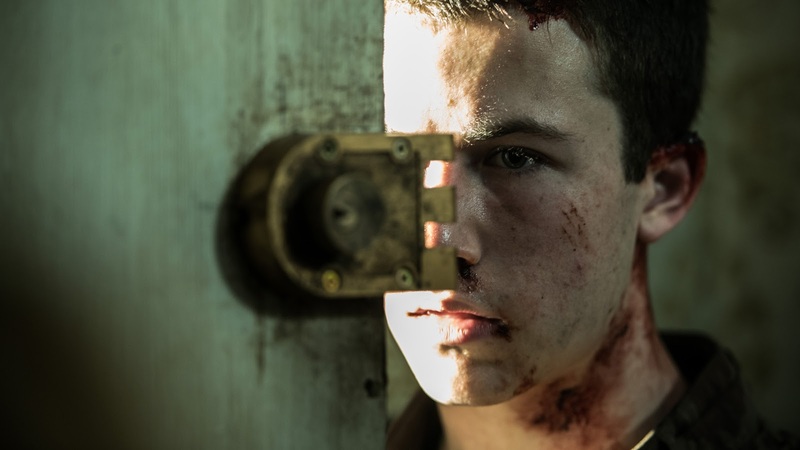 Rocky (Jane Levy), Alex (Dylan Minnette) and Money (Daniel Zovatto) have pulled off a series of elaborately planned burglaries in order to come up with enough cash to escape their dire Detroit hometown. 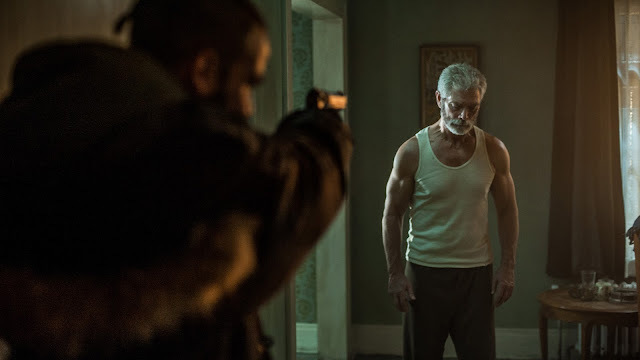 Their petty crimes have netted meager rewards, however, when the trio learns that a blind man (Stephen Lang) living in an abandoned neighborhood has a small fortune stashed in his house, they agree to go for their biggest and final heist. But their plan goes dangerously wrong when their intended victim turns out to be more frightening than they ever anticipated and a burglary they expected to be their easiest turns out to be their deadliest. "Don't Breathe" is literally how you will feel once things ramp up a quarter of the way. The suspense was unrelenting yet extremely involving - we couldn't cover our eyes or look away even if we wanted to. This is something we haven't felt in ages and if we could describe the scare factor, it was similar to watching a horror film without the paranormal aspects. Mostly, this is due to the wonderful direction of Fede Alvarez who clearly knew how to grab your attention especially with all the skillfully played jump scares. And who knew that a dog could be such an effective tool for scaring the pants out of audiences? The plot was simple and easy to follow with several shocking twists to keep your attention unwavering. One in particular had us reeling with disgust near the end. Although the characters felt a tad under-developed, we liked the ambiguity of who's really the bad guy amidst all the mayhem. 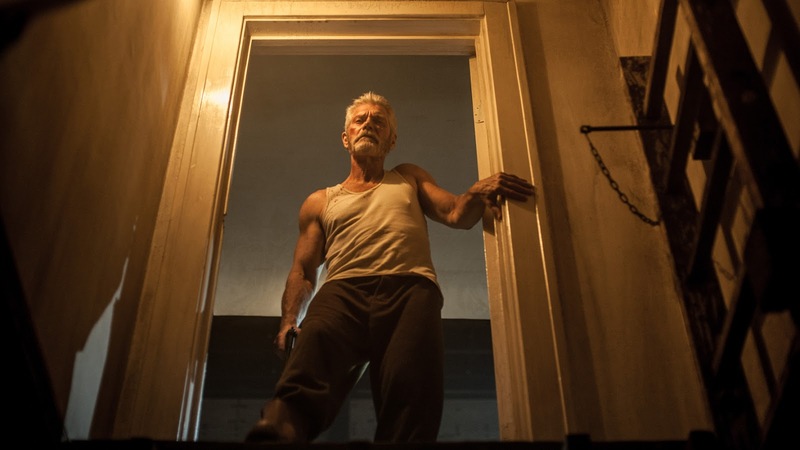 "Don't Breathe" will leave audiences breathless but was it a breather for the genre. With "Don't Breathe", you never know what you're getting into and that's pretty much why the movie was so successful.